'It seems to me certain that future progress in creative music for composers of the Western world must inevitably go towards the exploration and integration of elements drawn from more than one of the world's cultures.' This remarkably accurate prophecy was made by Henry Cowell in 1947, and was prompted by a radio broadcast of Colin McPhee's gamelan inspired Tabuh-Tabuhan which had received its first performance eleven years earlier. 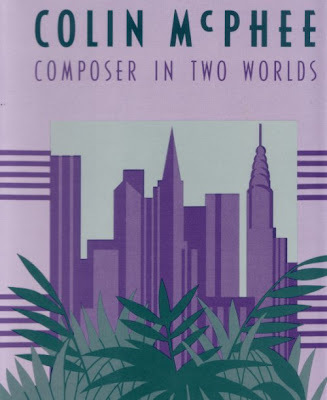 Carol J. Oja's exemplary biography (jacket below) describes Colin McPhee as a 'composer of two worlds'. He was born in Toronto in 1900, and established a dual career of pianist and composer at an early age. He started his studies at the Peabody Conservatory in 1918, and spent two years studying in Paris before settling in New York in 1926. He quickly established himself as a one of a new generation of American composers, and his music was presented at a concert of Edgard Varèse's International Composer's Guild. At the time Henry Cowell ranked McPhee in a group that included Charles Ives, Carl Ruggles, Charles Seeger, Roy Harris, Henry Brant and Ruth Crawford. McPhee's dual career of composer and pianist continued, and in 1927 he played in the infamous Carnegie Hall premiere of George Antheil's Ballet Mécanique alongside Aaron Copland. In New York McPhee also developed an interest in African-American culture, and ignored contemporary prejudices by accompanying the black soprano Abbie Mitchell in a group of his own songs. In 1931 McPhee travelled to Bali for the first time accompanied by his wife Jane who he had married the previous year. As well as being an established researcher in her own right, Jane McPhee contributed much of the funding for her husband's work in Bali. The marriage lasted for seven years despite Colin McPhee's undisguised homosexuality. There was genuine interdependence in the marriage, but extraordinarily, Jane McPhee, née Belo, is completely written out of the composer's accounts of his time in Bali, all of which are written in the first person singular. In 1932 the McPhee's started to build their own house on Bali. The story is beautifully told in McPhee's own words in his book A House in Bali (jacket above), albeit without any mention of his wife who bankrolled the whole project. During his first stay on the island McPhee immersed himself in Balinese culture, and studied the gamelan from close quarters. In 1935 the McPhees returned to America for an extended period, and the composer renewed his close working relationship with the Mexican conductor Carlos Chávez, who has already featured on these pages. Chavez had founded the Orquestra Sinfónica de México in 1928, and he invited McPhee to visit Mexico in 1936 to compose an orchestral work for the Mexican orchestra using material from Bali. This work was to become the Toccata for Orchestra and Two Pianos, Tabuh-Tabuhan. Its title is a Balinese collective noun for a collection of percussive rhythms and sounds. Tabuh-Tabahan was completed in a rented house in the exquisite silver mining town of Taxco, south of Mexico City. 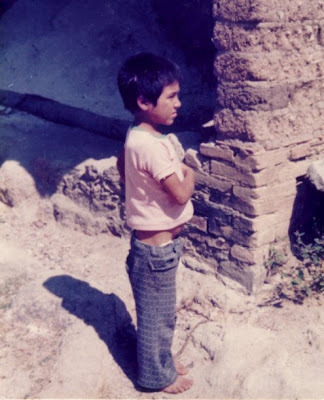 The two photographs here were taken in Taxco in 1987 when I was staying in the town while working with Chavez's Orquestra Sinfónica de México. They are anachronistic, but, nevertheless, somehow reflect the different worlds of Colin McPhee. There is another interesting musical connection to Taxco. Igor Stravinsky, his wife, Robert Craft and his secretary, later turned unauthorised biographer, Lillian Libman had visited the town on Good Friday 1964 to see the Passion Play that is performed there every year. The procession through the town is led by small boys from the village, like the one above, and the whole town follows with lighted candles. The Stravinsky party had stayed at the Hotel de la Borda, which is where I also stayed twenty-three years later. The ambience of Taxco clearly suited Colin McPhee's muse. 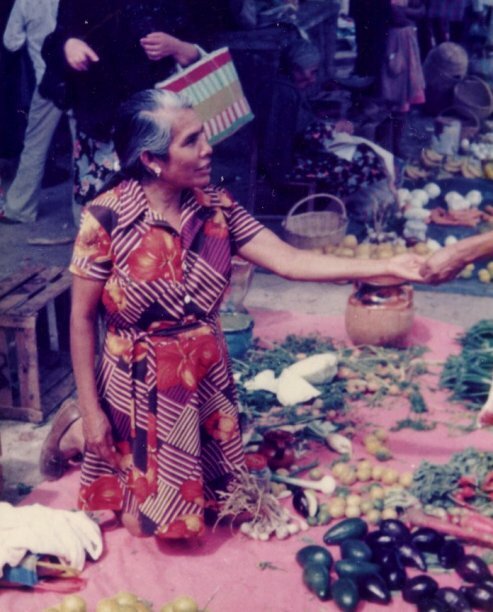 The first performance of Tabu-Tabuhan conducted by Carlos Chávez in Mexico City in September 1936 was a major critical success, and it looked as though McPhee's advocacy of World Music would relaunch his career as a composer. But he was a prophet before his time. Despite support from Aaron Copland and Carlos Chavéz further performances did not follow, although those interested in the score included Leopold Stokowski and Serge Koussevitzky. After failing to secure further performances of Tabuh-Tabuhan McPhee returned to Bali in early 1937, and he contunued to study the culture and the arts of the island. He and his wife had been living separate lives for some time, and they were divorced in 1938. The gamelan groups, with their male players with naked torsos, seemed to meet an emotional as well as musical need, and McPhee was known to have had a number of male lovers. During his stay in Bali a young male child dancer, Sampih, lived in McPhee's house. Tragically, Sampih was murdered long after McPhee had left the island. By 1938 the political climate in Bali had changed. The Dutch colonial authorities had started to hound homosexuals, despite their acceptance by the Balinese, and the spread of Fascism in Europe semed likely to spread to the Dutch East Indies. McPhee returned to New York in February 1939, a decision also prompted by his reduced financial circmstances following his divorce. From 1943 to 1947 McPhee lived in the famous communal house in Middagh Street, Brooklyn Heights that was also home at varying times to Benjamin Britten, W.H. Auden, Carson McCullers, Paul and Jane Bowles, Peter Pears, Oliver Smith and Gypsy Rose Lee. Britten's initial interest in Oriental music is attributed to his friendship with McPhee, rather than his own visit to Bali in 1956. Paul Bunyan was composed while Britten was in New York with McPhee, and Balinese influences can be heard in the 'Moon Turns Blue' episode in the Prologue. McPhee is also thought to have given Britten a grounding in American jazz. In 1941 McPhee and Britten recorded McPhee's transciption for two pianos of Balinese Ceremonial Music in New York, and this recording is available on Chandos 1011 coupled with 2003 recordings of Tabuh-Tabuhan and the Suite from Britten's ballet The Prince of the Pagodas. The years in New York were difficult for Colin McPhee. Without the company and sponsorship of a wealthy wife, living in sordid accomodation and with little acceptance of his music, he relied on writing to generate an income, and the alcohol misuse that was to finally kill him started at this time. The only glimmer of hope was a CBS radio broadcast for schools in 1947 of two movements of Tabuh-Tabuhan rescored for reduced forces. But an apparent breakthrough came in 1952 when World Music came to America in the form of a Balinese gamelan group. The resulting interest in Eastern music prompted Leopold Stokowski to conduct the US premiere of Tabuh-Tabuhan at the Carnegie Hall in October 1953, and the reviewers, led by Virgil Thomson, gave the work a positive reception. This performance and the growing interest in cross-cultural music prompted further performances of the work (including a recording by Howard Hanson) and new commissions followed. It would be nice to report a happy ending to the story. But it was not to be. It seemed that the creative fires that had blazed in 1936 had been dimmed by the physical, emotional and financial traumas of the following years. A noteworthy Second Symphony was premiered in 1958, but McPhee's other compositions of the period lack the creative fire that shines through Tabuh-Tabuhan. But his last years at least gave a degree of reward. In 1960 Colin McPhee took the option chosen by many American composers of the time and became a professor at the University of California in Los Angeles. He was well-liked and respected by his students despite his deteriorating health. But advancing cirrhosis of the liver killed Colin McPhee on January 14, 1964. Roy Harris and Charles Seeger spoke at his funeral, and a telegram from Leopold Stokowski was read out. Although Colin McPhee is usually only remembered for Tabu-Tabuhan, his legacy is considerable. He was a pioneer of World Music, and his use of repeating musical cells predated the minimalist composers by several decades. But it was probably through his writings that McPhee was most influential. His book A House in Bali asserted that music and the environment in which it is performed are inseperable (a topical subject this week). But McPhee's life work was his monograph Music in Bali which was finally published two years after his death, and is still regarded as one of the definitive work on the subject. His writings influenced a generation of composers, and Lou Harrison has recounted how McPhee's 1949 article on the five-tone gamelan music of Bali had a major impact on him. I will be celebrating the music of Colin McPhee and Lou Harrison in my Future Radio programme on Sunday December 9. At 5.00pm UK time (convert to local time zones here) I will be playing Tabuh-Tabuhan and Lou Harrison's 1985 Piano Concerto. There are many links between the two composers, from their fascination with the East, through their homosexuality to the sublime slow inner movements of both works. Broadcasts of either work are rare, so don't miss this collision of East and West on Sunday. There is more on the Lou Harrison Concerto here. Tabuh-Tabuhan was first performed in 1936. Now read about some other new music first performed at that time, but in very different circumstances. More on Colin McPhee here. * Colin McPhee - Composer in Two Worlds by Carol J. Oja, Smithsonian Institution Press ISBN 0874747325, out of print. 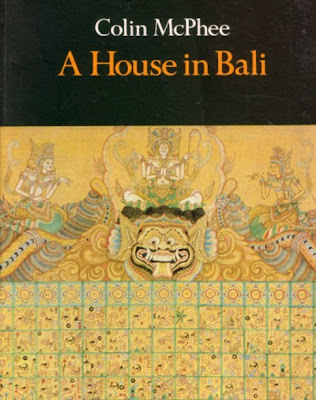 * A House in Bali by Colin McPhee, Oxford University Press ISBN 0195804481, out of print. Listen to Tabu-Tabuhan by launching the Radeo internet player from the right side-bar, or via the audio stream, on Sunday December 9 at 5.00pm UK time. Convert time to your local time zone using this link. Windows Media Player doesn't like the audio stream very much and takes ages to buffer. WinAmp or iTunes handle it best. Unfortunately the royalty license doesn't permit on-demand replay, so you have to listen in real time. If you are in the Norwich, UK area tune to 96.9FM. Taxco photos are (c) On An Overgrown Path 2007. Any copyrighted material on these pages is included as "fair use", for the purpose of study, review or critical analysis only, and will be removed at the request of copyright owner(s). Report broken links, missing images and errors to - overgrownpath at hotmail dot co dot uk. Those original 78 rpm discs that McPhee heard in the 1920s have been reissued on CD as "Bali: Roots of Gamelan, 1928". It's available at Amazon, Emusic, and iTunes, and includes as well McPhee and Britten performing. There is a short Flash slideshow of photos McPhee took while in Bali, as well as excerpts from three silent films McPhee shot, of the actual gamelan ensembles he observed and wrote about in A House in Bali. Steve Layton also pointed out to me that I had made a typing error in the date of Colin McPhee's death. This is now amended in the article, but reblogged versions will retain the wrong date. The correct date of McPhee's death is January 7th, 1964. There is also a radio portrait on the composer that Charles Amirkahnian did for KPFA radio in 1980 on the RadiOM.org website. Thanks for the article! I found out about Collin McPhee by accident when I was browsing youtube for balinese gamelan, and started to look for more info on the web about him and his works.